– There are considerable “bodies of work” on Competencies. While it is a popular term – and one for which many people have differing definitions, “definitions” of competencies (as provided and/or established by an employer and bench-marked against wording from leading international consultancies) are what often cause/allow mid and senior level professionals working in the same organization to get onto the same page – and stay there. – Great responses. The “buzzwords” I encourage are bulleting in actual accomplishments/achievements that would stimulate the screener to say, “Gee, we could use someone who does these things! – I differentiate between different career paths. An accountant’s resume is better served by a list of competencies than an executive. That said, the proof of competency needs to be there. I like the idea initially presented that "expertise” should be just that. Highlight those things that your client is really good at if those are the qualities the employer has already stated are the things essential to the job. It’s so often tempting to put too much into the resume. Prioritize. Points placed under “Experience” should be focused on proving the strengths offered. These may include moderate strengths, especially if the client is new within the career path and doesn’t have many impressive ‘accomplishments’ yet. Yet, as the competencies advance, the resume should increasingly reflect those points which really stand out. Lesser skills should drop away. Amy is spot on about using job postings to help clients target the resume they use, their job search and interview preparation strategy. It can also help us ensure our resumes honestly portray what our clients have to offer. – As long as the resume includes concrete examples of the types of work the job seeker has performed, there is no risk of making exaggerated claims about his or her abilities. The problem occurs when making general statements about expertise, such as “Expert in marketing communications.” There is no problem with saying, “Seven years of marketing communications experience,” however, because it is a fact. I’ve found that hiring managers and employees may define “expertise” differently, so I avoid overusing these descriptive terms. – This sounds like a conversation about degrees of ‘BS’. Knowledge and/or competency are very quantifiable. I use ‘Key Skills’. This allows for a much broader interpretation and is more believable. It allows for the reader/hirer to relate the skills to the respective job and if the resume is prepared properly allows the job seeker to focus their application on the job skill requirements and their related skills. 30 years in recruitment and 7 as a Career Counsellor, teaches you ‘heaps’!!. – Words such as Core Competencies, Areas of Expertise and Key Skills – call them what you will – are ambiguous and open to the interpretation of the reader. Rather than preparing a laundry list of “keywords,” why not convey those deliverables within the resume, integrating them in examples of our clients accomplishments that demonstrate their expertise. Provide clear evidence of what their value to the company has been through explaining the initiative, the challenge faced or problem solved – AND the benefit to the employer. In that manner, you have demonstrated proof of your value. – I consider the executive summary to be the most important part of the resume. An employer should be able to read this section alone and know whether the employee meets the basic qualifications of the job for which he/she is applying. – My clients–all rising, senior, and very senior executives–say they stopped reading most executive summaries (summaries of qualifications) years ago. They claim most do not deliver clear and compelling proofs of performance showing the candidate will make the company more money than it takes to hire him. In today’s tough economy, hiring decision makers want a lot more than meeting the basic qualifications. They are not hiring average people; they can’t afford to. They want ROI, lots of it, and now. That’s why my clients’ resumes start with the bottom line: “What I offer the XYZ corporation as your newest COO:” Underneath that are specific pledges of performance, later supported with success stories. No room for glittering adjectives, responsibilities, or even results standing by themselves. It is that pledge of value–that “living, active” brand–that shows commitment and focus on the employer’s needs. – As both an active executive recruiter and a resume writer, I am on the “stop the BS” side of this discussion. I don’t create resumes with buzzword-filled corporate-speak sections about “core competencies” nor do I ever say anything like “seven years of experience blah-blah” because as a recruiter screening executive resumes, I know I skip right past that blah-blah and go to the meat of the job titles and stories of what someone did. I want substance, and I’m looking for very pertinent experience. My resumes do sometimes include sections called “superpowers” or “operations expertise” when it feels necessary to highlight the information in a specific way, but I never include skills or experience that the candidate is not confident in presenting. Stuffing resumes with buzzwords is not the same as making sure the pertinent keywords are easily found. 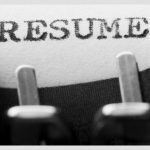 I create resumes that convey the story of a career, told in a way that highlights what matters and leaving off all of the mystifying overanxious trying-too-hard data that most resumes that I see are bogged down with. If the background is right, then it shows in the story and the accomplishments, and if someone is trying to BS me, that shows too. I’ve been a recruiter a long, long time, and my BS radar is finely tuned. – I like Leslie’s comments and perspective very much. They provide excellent insight into the recruiter’s world. Most resumes written by professional resume writers target specific job openings, corporations, and/or industries. They use carefully chosen but accurate buzz-words which early-on signal to the HR reviewer that the resume requires a closer look and a potential interview; in addition, when submitted to job banks (public or corporate), data searches will uncover the specific resume for review. Recruiters want to see quantifiable, accomplishment-based information, as do employers and interviewers. As Leslie says, “I want substance, and I’m looking for very pertinent experience.” Recruiters already have established clients who respect their expertise and judgment and have used their service. A recommendation of a potential hire to a client virtually guarantees an interview, as it should. Whenever clients mention using a recruiter, I highly recommend that they do so, assuming their background, level of competence, and salary expectations would be attractive to a recruiter. Note that Leslie is an “executive” recruiter. Since recruiters are “free” (paid by the employer company), candidates have nothing to lose and much to gain. I also caution that the resume I build for them is not what the recruiter will use. On the other hand, the professional experience section of the resume is what the recruiter wants and needs: on-the-job tasks that show solutions provided, accomplishments achieved, and data supporting the candidate’s part in growing a company and illustrating on-the-job competencies. Key words serve very specific and worthwhile needs when resumes have to go through a data scanning process or a quick eye-scan by HR to build a “stack” of potential candidates. How the resume is to be used determines how it is to be developed. The more we are able to counsel/coach the candidate in targeting a specific job and even a specific company, the greater the likelihood of success. – Mallory, thanks for your comments. To clarify, I am both a recruiter and a resume writer, and have done both for most of my career, so I see both sides. I’m not sure why you put the word “executive” in quotes – my job title is executive recruiter because that’s what I do… I recruit executives.You are right in pointing out that third-party recruiters are paid by the hiring company, which is a very important thing for job seekers to understand. Recruiters don’t help people find jobs, but if we work on the kinds of jobs you’re looking for, you want to be on our radar.And while there are some recruiting companies that reformat and restructure resumes before presenting, most do not (other than perhaps replacing the candidate contact info with the agency info), so job seekers should expect that the resume they present will be the document used through the hiring process as they talk to people about their background.And yes, all resumes should be targeted for the job at hand – but to me, I really don’t care about plugging in all of those “quantifiable achievements” or “buzzwords” as much as I care about being able to quickly see the three things that count: 1) are you qualified, 2) are you at the right level (not settling or over your head) and 3) will you fit into the corporate culture.The culture aspect is where many resumes go so wrong, and I think that’s because a lot of resume writers use the same old-fashioned format for every resume, rather than tailoring the style to the market. I’m amazed when I go to resume writing websites and see samples where every resume is pretty much identical, just with different words (and sometimes those aren’t very different at all).I place senior executives with cutting edge startups, so when I get stuffy formal corporate-resume-speak resumes, I’m probably going to move to the next candidate because I’m looking for modern cutting edge candidates Many resumes I see are the equivalent of walking into an interview in a grey suit, starched shirt and red tie, which might do on Wall Street, but in the modern world of startups, it marks you instantly as an outsider who doesn’t really know how things are done today. This is a big part of my resume business – working with people who want to break into more interesting companies, and who need a resume that stands out in a sea of competition, and the fastest way to do this is with clean modern design and focus. – The discussion on competencies and all of the subsequent comments were great reading and food for thought. I volunteer two weekends/month, typically assisting low to to mid-level managers and direct service employees in their job search/transition. More often than not, the key skills/competencies they bring to the potential employer get lost when cryptic bullets convey “this is what my job description says I did at this company”. Also, key skills and competencies relevant to the new job may not be as apparent to the reader when the job seeker wants to change fields or return to a previous line of work. I usually recommend a brief, well-crafted summary, 3-9 core competencies (and computer skills, if applicable) and 3-7 measurable bullets per position held – highlighting their major accomplishments. I’m interested in learning more about Leslie Ayres’ “clean modern design and focus” to help with new college graduates and mom’s re-entering the work force. – Debra was spot on with her comment that the “Executive Summary” is the most important part of the resume. How could it be otherwise? The body of a resume will describe accomplishments, or results attained. These accomplishments have to be specific and quantifiable if possible. The summary will describe the professional expertise, talent, knowledge, competencies that enabled these accomplishments to see the light of day. The heading one uses is virtually irrelevant, assuming the statements within are statements of fact, not vague hope. Put it another way. If client John Doe has an outstanding background in producing major revenue increases, I ought to be tarred and feathered if I don’t get that out in an executive summary. I like the phrase “Key Professional Strengths,” but that’s just me. There are lots of headings to use. For what it’s worth, I don’t like putting an accomplishment in the summary. Their natural resting spot is in a different section of the document, although every day I see an example of someone trying to merge the summary with an achievement or two. The potential employer wants to see accomplishments on the resume. But, at the end of the day, they are history. What the candidate has to sell is the expertise that produced those career highlights. That expertise goes into the executive summary. It’s the last part of the resume that I write, and by all odds the toughest work. The principle is the same as with any good news story. The reporter has a copy editor writing the headline, hopefully grabbing the reader’s attention for the story to follow. The executive summary is my headline, with the story bringing to life details about the client’s career highlights. – As a recruiter responsible for numerous divisions, I skip past many executive summaries. They’ve become paragraphs stuffed with buzz words and don’t give me a reason to read further. It doesn’t take long to learn that people write executive summaries that sound good but don’t align with the heart of the resume – the career history and what they’ve accomplished. Candidates write summaries that state, “15 years’ experience as an IT Analyst….” When I scan the heart of the resume, it is disappointing when a candidate has been laid off for an amount of time, transitioned to a different industry for 7 years and is trying to get back into the industry, or they were barely an IT analyst or whatever they are marketing. Maybe they were an IT Analyst 10 years ago for 15 years. In my world, that doesn’t go over well. To save time and disappointment, I skip to the career history which tells a more accurate story. As a recruiter, I want to feel that the candidate has the skills I’m seeking, is a go-getter, and I want to get the sense that they can be promoted within 3-5 years. This needs to be conveyed in the resume. Very few executive summaries accomplish this.